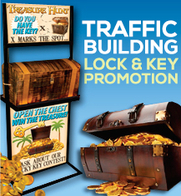 There is no denying that trade show marketing can be an effective promotional strategy when done correctly. Trade show marketing exhibits at some of the high-profile shows in your industry can prove to be one of the most important moves your business makes. Unfortunately, it is also possible to spend a lot of money on trade show marketing and leave the show without the results you anticipated. The key to getting the most out of your trade show marketing investment is to leverage your position and attract the most customers to your booth. Creating a mini trade show marketing plan can accomplish this. Using specific strategies to maximize booth traffic means that you will have more opportunities to increase sales and achieve your trade show marketing goals. 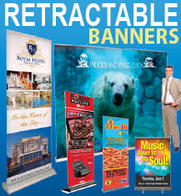 Trade Show Attractions offers several trade show marketing solutions for drawing crowds to your trade show booth. Similar to a car crash along the side of the road, all it takes is for a few people to show interest and then a few more stop to see what is so interesting and before you know it, a crowd has formed! 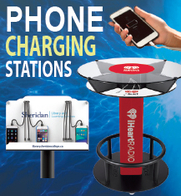 Here are three performance-tested trade show marketing booth ideas that have helped companies drive crowds of potential customers to their booths, capture the attention of important industry contacts, and generate media buzz. 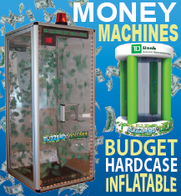 The Cash Cube or Money Blowing Machine is a trade show marketing tool that consistently stops traffic wherever it goes. It looks like a telephone booth with bills or coupons swirling around inside. It is not the booth itself that stops traffic, but the hilarity of watching someone thrash around attempting to grab bills and coupons in the allotted time frame. To best utilize the Money Blowing Machine in your trade show marketing, have participants register or fill out a contact card for your records. Once inside the booth, they have 20 seconds to grab money or prize vouchers and stuff them into their money apron. 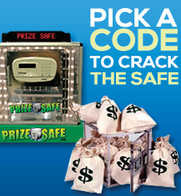 To cut down on the number of participants, this promotion can be combined with a Prize Wheel, allowing only those who land on the “Money Machine” Prize Wheel panel to step in. To gain even more publicity from your trade show marketing efforts, schedule a time when some “head honchos” from your industry can participate in a prize-grabbing contest. Tell everyone who stops by your booth to return in time to watch the industry leaders collect their cash inside the Money Machine. Who can pass up the opportunity to spin a colorful wheel filled with prizes? 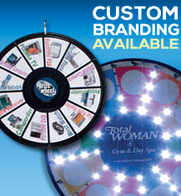 With its low cost and high versatility, a Prize Wheel is one of the most cost-effective trade show marketing tools that a company can own. There are hundreds of ways to incorporate the Prize Wheel into contests, games customer retention events, and trade show marketing events. The Prize Wheel is not just useful at trade shows; it has also proven to be effective at outdoor events and in-store promotions. One of the best ways to utilize the Prize Wheel in your trade show marketing strategy is to give trade show participants an opportunity to spin the wheel in exchange for filling out a contact card. This tactic often results in a stack of contacts by the end of the show that your sales team can use for follow-ups. Customizing your Prize Wheel ensures that every participant wins – whether it’s a chance to win a bigger prize, a customized ad specialty item, or a coupon for savings on your products and services. Including your own products and services acts as a great cross-promotion as well! I don’t think there is a trade show booth in existence that does not hand out freebies as part of their trade show marketing campaign! Most custom logo imprinted promotional items fall into the same categories booth after booth: highlighters, stress balls and pocket calendars. Each show has a couple of lucky booths handing out custom logo imprinted promotional items that everyone actually wants. It isn’t luck that drives participants to these booths, however. It’s good trade show marketing planning! 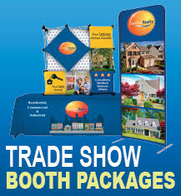 With every booth handing out their own custom logo imprinted promotional items, it is essential that yours stand out. 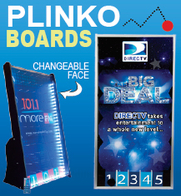 The best ad specialty items are those that are useful for participants while they are at the show. When you give away ad specialty items that fill an immediate need for trade show attendees, they are much more likely to stop by and take one or try to win one. For instance, a canvas bag with your logo printed on the side gives attendees the perfect vehicle for carrying around the rest of the freebies and brochures they pick up. 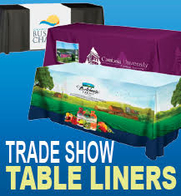 It also serves as a walking billboard for your business and trade show booth. Another great idea is to hand out an ad specialties water bottle. A refreshing bottle of water is always a welcome treat for attendees who have spent the bulk of the day wandering the conference hall. Private labeling your own snack foods has also proven to be highly effective. This surprisingly affordable marketing tool is also extremely effective. Guests often appreciate your gesture of kindness so much that they will stop and chat for a few minutes to return the favor. This gives you the ideal opportunity to engage in conversation and make those important connections. It’s so true that when a crowd of people stop and stare everyone has to stop to see what’s going on. You can always count on human nature!